A wonderful day with Chris Hodges and friends from Northern Ireland. 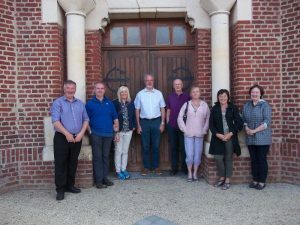 During the tour we visited Guillemont Church and the 16th Irish Division Memorial on the Somme. We remembered too the significance of the centenary of the Battle of Messines Ridge where for the first time the 36th Ulster Division and the 16th Irish Division fought together side by side. 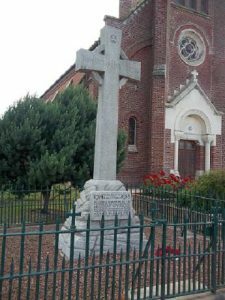 They were here too to remember a long lost ancestor who died on the 21st March 1918 Rifleman Charles Tweedie 15th Battalion Royal Irish Rifles and who has no known grave. He is commemorated at Pozieres. He enlisted at the young age of 14. Rest in Peace Charles. Just last week I had a lovely memorable tour with a wonderful..
All content ©Les Alouettes 2016. E&OE.